Merry, merry Christmas to one and all! 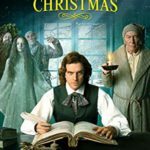 This entry was posted in .Christmas, .film, Charles Dickens and tagged A Christmas Carol, Charles Dickens, The Man Who Invented Christmas. Bookmark the permalink.